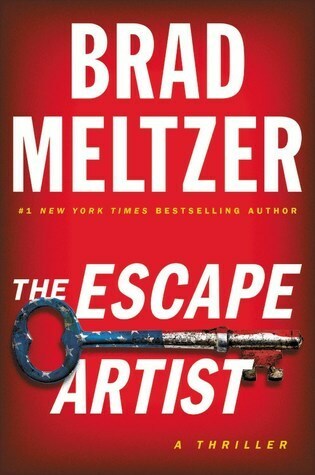 In #1 bestselling author Brad Meltzer's new thriller, death is just another way to disappear. Two hours outside of Washington, DC is the mortuary for the U.S. government's most top-secret and high profile cases. America's most important funeral home. To work there, mortician Jim "Zig" Zwicharowski has one rule: never let a case get personal. But when a new body arrives--of young female sergeant Nola Brown, who was a childhood friend of Zig's daughter--Zig can't help himself. Looking closely at Nola's body, he realizes immediately: this isn't Nola. Indeed, his daughter's friend is still alive. And on the run. Zig's discovery reveals a sleight of hand being played at the highest levels of power--and traces back through history to a man named Harry Houdini. "Nola, you were right. Keep running." This title will be released on March 6, 2018. Notes and Opinions: This one just didn't work well for me at all. I found it slow and confusing and well I thought that the jumping back and forth broke up the book very badly. I think if this was a movie it would work out a lot better as the events could come across much better. The story and characters for me just fell flat and I couldn't connect with anything. If you are a fan of this authors book I would give it a try this is the second one I have checked out and I still have the same issues with it. I guess the writing style just isnt for me.